We are a team of passionate local guides and driver-guides who are committed to providing the best private and semi-private tours in and around the capital of Spain. We are dedicated to providing VIP services at affordable prices for each and every one of our tours and transfers. This is the reason that we provide a personal pick-up and drop-off for every tour we do. We are proud to say that we always do whatever it takes to make sure our guests have a great time. We are committed to providing the best service in Spain before, during, and after your tour with us. 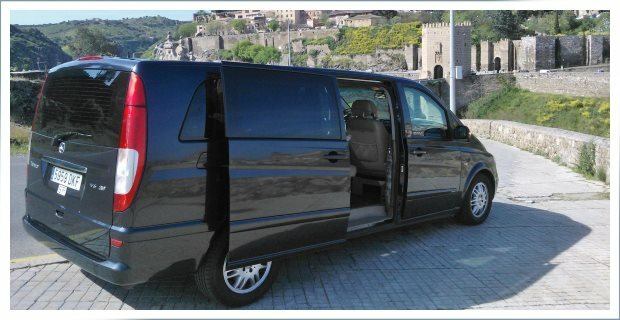 All the vehicles we use on our tours and transfers are new, air-conditioned, and the best models available in Europe. We are fully licensed, insured and bonded. We hold valid permits, travel insurance, and all necessary documents as required by Spanish law. Please beware of fake and illegal websites that claim to offer travel services by licensed guides or drivers. Only a licensed and bonded Tour Operator is allowed by law to deal with international clients from abroad. To validate any claims made on the internet, please check with ASTA – the American Society of Travel Advisors, which is the governing body for tour operators worldwide. Local authorities are conducting more frequent checks and can stop tours in mid-service if the party in question does not hold valid documents. We encourage everyone who visits our website to help us in the effort to stop the piracy of tourism in Madrid.